IWSG: Okay, this week I'm emerging from my Man Cave as there are two events that need my attention. Monday Carol Kilgore announced her cover reveal for Secrets Of Honor. And today is the first Wednesday of the month. 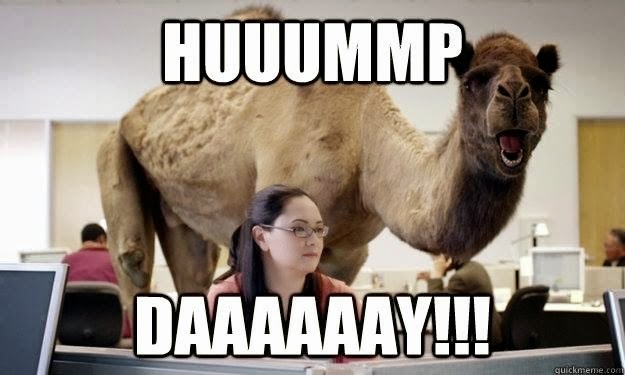 So ... guess what day it is. Okay, yes, it's Hump Day. But it's also IWSG, and we all know if we don't participate then we get dropped from our position. Currently I'm at what I consider a coveted Top Ten position and my fear is that I will lose that. So I'm posting and breaking my vow of silence because my insecurity is that I'll be dropped from my spot, then have to start all over at the bottom of the list. Who wants to do that? Not me. Hey, I'm not that crazy. That said, I'm also scared of the spiders and bugs in my cave. Slimy creepy crawly things that get in my beard and my nooks and crannies and such. Okay, TMI, I know. One more stop. That's this Thursday at the A to Z Challenge blog where every first and third Thursday of each month I post something fascinating about science or science fiction or something along those lines. So you won't want to miss that! And bonus points if you know what movie this bearded gentleman from Monday and today's post is from. No, it's not me. Really, it isn't. See you Thursday at A to Z Blog! No clue on the movie, but it looks like it would be entertaining. The pressures of being on top, staying on top. Count your blessings and continue doing what your doing. You don't want to get bumped. 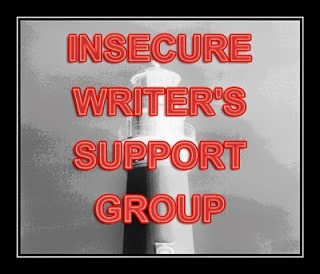 I have the added pressure of never missing an IWSG post, plus being an admin for the site. I can't miss one now. Welcome back out into the open! I'm a bit freaked out by your creepy crawlies now though! Guess who used to be number seven on the list, didn't post for six months, and is currently number three hundred and seventeen? Yeah, me. Ha! Looks like someone from a Monty Python movie. Won't kick you out of the top ten unless you miss two in a row, so no worries. You have been tuck away a while, Stephen. Glad you emerged for a bit of dusting off today. 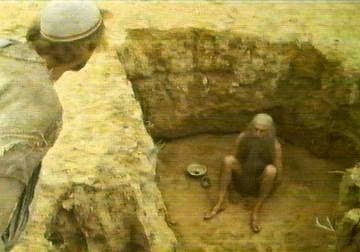 That would be Life of Brian! Must feel good to shake those cobwebs out of your beard as you blink in the sunlight. Your top ten spot is safe... for now! Fear of being bumped is what prompted me into writing my post today, since I had forgotten all about IWSG until I got home. Hi, Stephen. Glad you decided to come out of your man cave. Gotta find time to enjoy the nice summer weather now and then. Holding that position is important. Hump day is meaningless when you're retired. If not for IWSG I would never know when Wednesday is. You definitely don't want to lose that standing. Glad to see you out into the bright sunshine... make sure to put on some sunscreen so you don;t burn! Ooh that reminds me to check out where I am. 52. Score! Last time I checked I was 126.